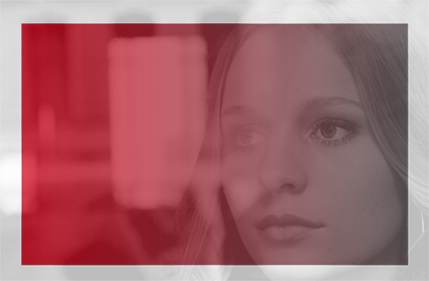 How are women and men portrayed in television and cinema? In which social roles and contexts are they shown? How often are they visible on screen? This study provides a comprehensive review of the status quo. 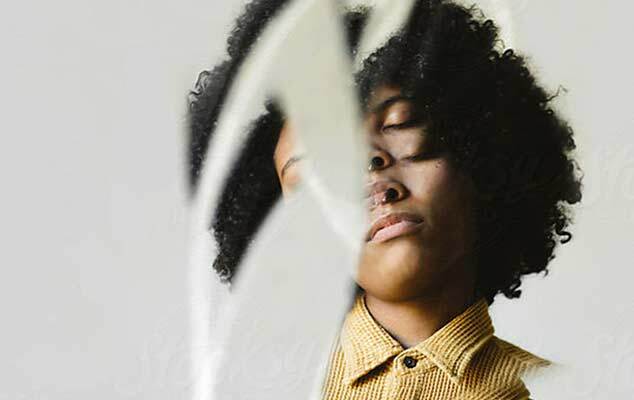 The MaLisa Foundation has initiated a broad partnership between television broadcasters and film funding boards for its study "Audiovisual Diversity? 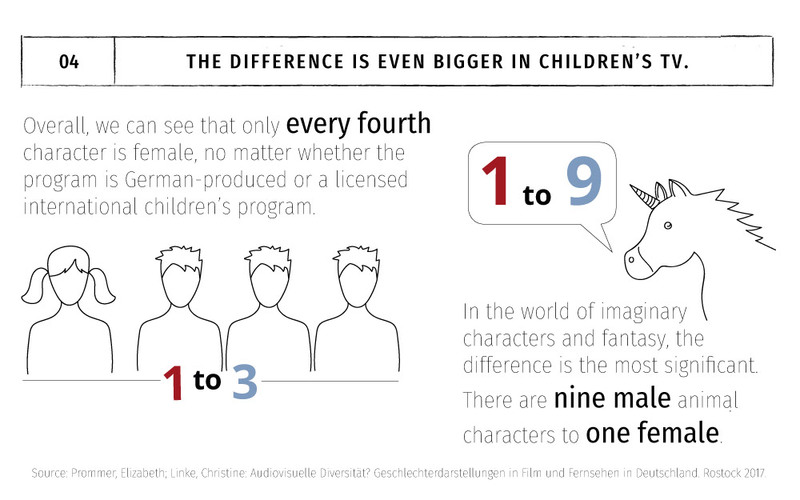 Gender representation in German film and television". For the first time, the four major German TV groups (ARD, ZDF, RTL Deutschland Media Group and ProSiebenSat1), the Film-und Medienstiftung NRW, the German Federal Film Board (FFA) and the FilmFernsehFonds Bayern have joined forces to sponsor a research study which deals with this subject across all networks. The study is based on a detailed analysis of over 3500 hours of television programs from 2016 and over 800 German language cinema films from the past six years. This study provides a comprehensive picture of the current situation on our screens. 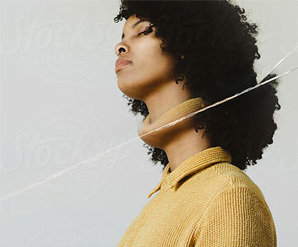 It analyses how often and in which roles women and men appear in fictional productions, in entertainment and in journalistic articles or documentaries. In addition to the gender, other factors such as age or migration background were examined. The last study of gender representation in television was published in the mid-1990s; the last data about children's television is over 10 years old. There is no comprehensive data available with regard to German film. The study was conducted by the Institute for Media Research at the University of Rostock, under the leadership of Prof. Dr. Elizabeth Prommer. The following summary of the study's results were presented on July 12th 2017, during a press conference at the Academy of Arts in Berlin. Women appear less frequently in German audiovisual media. When we look across all television programs, there are two men shown for every woman. A third of all general audience programs shown by the networks include no female protagonists at all (compared to only 15% which are without male protagonists). There is one exception! 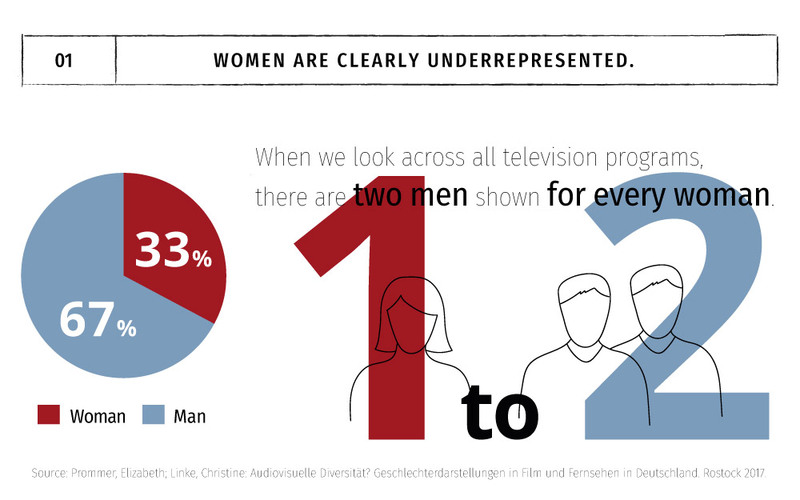 Telenovelas and daily soaps represent the actual gender balance in Germany, this being approx. 51% women and 49% men. However, these only make up 3% of all programs. If women are included onscreen, they are twice as likely to be shown in the context of relationships and partnerships. 2. If women are portrayed, then they are shown as young women. 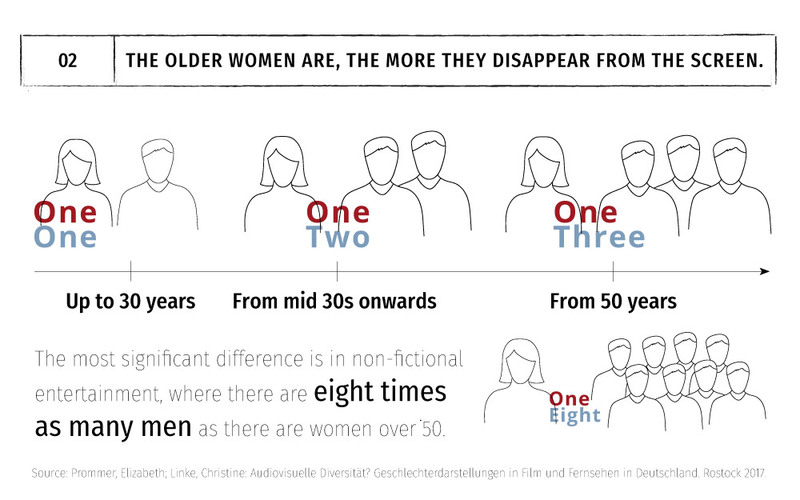 From the age of 30 onwards, women disappear successively from our screens. This applies to all broadcasters and across all formats and genres. Up until the age of 30, women are shown more frequently or as frequently as men (in both fictional and non-fictional entertainment). This changes when they reach their mid-30s: there are then twice as many men as there are women and from 50 onwards, there are three times as many men as there are women. This trend is also apparent in film, with twice as many male characters being shown as there are female characters in their mid-30s or over. The most significant difference is in non-fictional entertainment, where there are four times as many men as there are women over 40 and eight times as many men as there are women over 50. 3. Men explain the world to us: they are the experts, the game show hosts, journalists and narrators. In the field of TV journalism, only every third protagonist is female. Presenters and journalists are more often male (this is particularly evident with regard to hosts of non-fictional entertainment, with 80%). 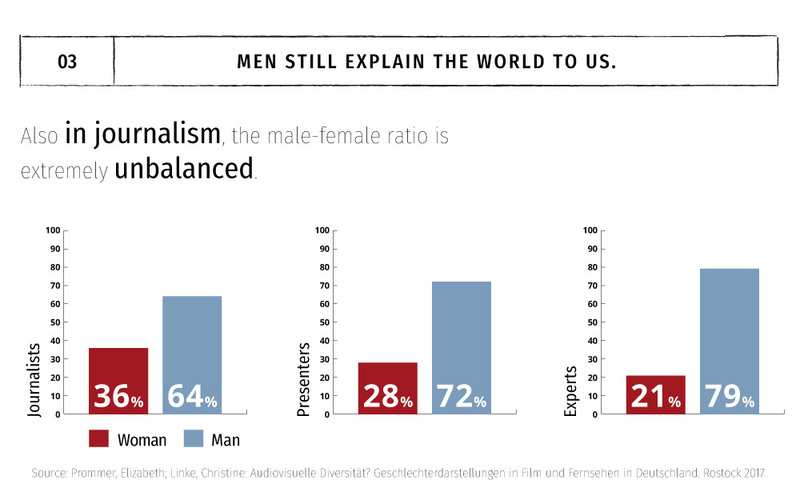 Experts are primarily male (80% in journalism and 70% in non-fictional programs). It is even clearer with newsanchors (70% in journalism and 96% in non-fictional entertainment). The absolute number of male characters is always higher. Overall, we can see that only every fourth character is female, no matter whether the program is German-produced or a licensed international children’s program. The world is once again explained by men: women are shown much less often, not only when it comes to fictional stories (example of journalism in children's television: only every third protagonist is female). In the world of imaginary characters and fantasy, the roles are almost exclusively played by boys/men. There are nine male animal characters to one female. Gender Representation in German Film and TV. An extensive text and image analysis of the top 100 music videos in Germany and the USA. 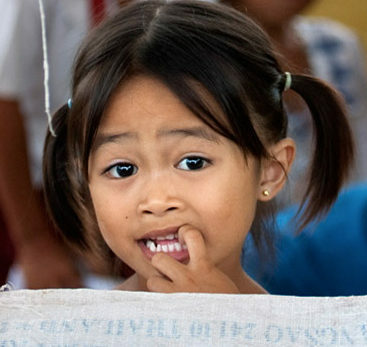 MaLisa Home gives girls an opportunity to escape forced prostitution and trafficking.